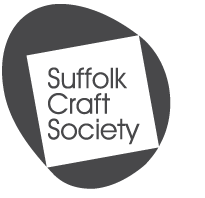 The Suffolk Craft Society was formed in 1970 to promote the value and importance of contemporary crafts and is keen to attract makers who set the highest standards for themselves and have achieved a high degree of skill with an imaginative and sympathetic approach to making. The Society supports approximately 120 members with a wide variety of craft skills. The aim is to raise the public awareness of fine craft while exploring exhibition and selling opportunities for members as well as offering possibilities to meet socially. In pursuing its objectives, the Society shall have no regard to gender, ethnic origin, age, sexuality, religion or disability. The prestige of being part of, and participating in, a member-led association of craft people. To submit work to and sell work through a varied programme of exhibitions. Promotion of work through the Society website. Professional opportunities within the Society’s education programme. Free admission to all exhibitions organised by the Society. The support and opportunities offered by the Friends of the Society. A commitment to the objects of the Society. Adhering to and upholding the Constitution and Bye-Laws of the Society. A willingness to attend members' meetings, vote at meetings and to serve on committees. A willingness to raise matters for the AGM agenda, giving the Secretary not less than 30 days notice. A willingness to make work available for exhibitions. To ensure that all work submitted for exhibitions is of the highest standard. To maintain parity in price between work sold through SCS and that sold privately or in other galleries. Volunteer three or more days per year to stewarding and/or setting up exhibitions unless precluded by a disability. To promote the SCS whenever possible. Provide images of work with the understanding that they will be used by SCS for promotional and publicity purposes. Willingness to act as a member contact to a new member. Pay subscriptions and any other amounts properly due to the Society as and when they become payable. Accept SCS rates of commission set on sales from our exhibitions where we act as your agent.